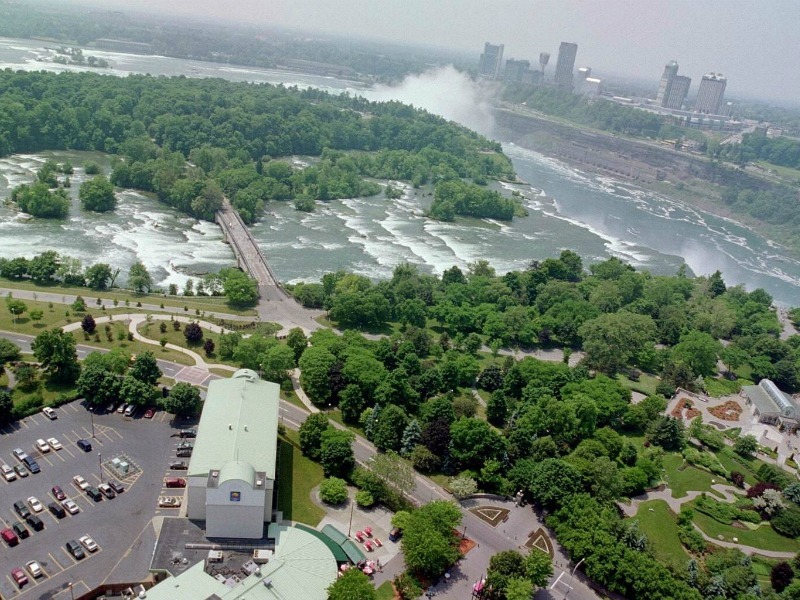 The Comfort Inn “The Pointe” is ideally located at the entrance to the Niagara Falls State Park; it is the closest hotel to the Falls itself, a mere 400 yards from the brink of the majestic American Falls. The hotel is within walking distance to the Conference & Event Center Niagara Falls, the Niagara Falls Culinary Institute and the Seneca Niagara Casino. All of Niagara Falls attractions are within walking distance from our hotel, including the Maid of the Mist boat tour, Cave of the Winds, Goat Island and the Rainbow Bridge to Canada. We are only a short drive from the New York Power Authority’s Power Vista, Historic Lewiston, Artpark, Old Fort Niagara, the Niagara Wine Trail and most of Niagara County’s other attractions. All rooms feature complimentary wireless internet, 37 inch flat screen televisions with premium TV and movie stations. Many rooms offer splendid views of the thundering rapids, the State Park or the Canadian skyline. We offer all of our guests a complimentary hot breakfast buffet each morning available from 7am to 10am.